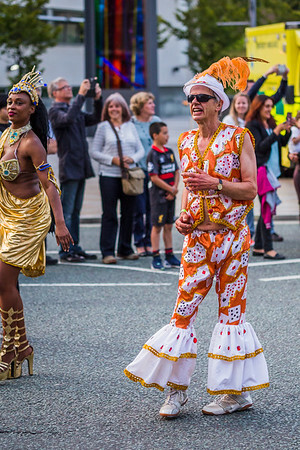 Last weekend I joined thousands of people on the streets of Liverpool to witness the annual Brazilica Parade. 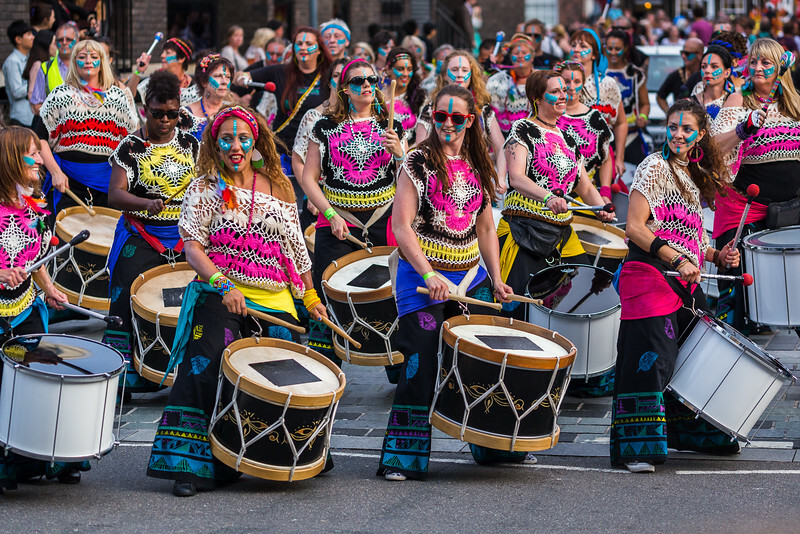 The parade (which takes place on the Saturday night) is the finale in the yearly celebration & includes floats, stunning costumes, beautiful make-up, musicians & dancers from around the world. The event seems to grow each year, not just in popularity with the locals but also the growth in participants. 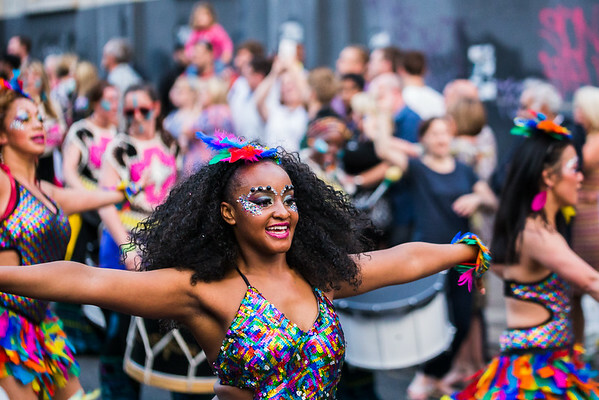 This year was apparently the biggest yet with more than 500 people joining the parade from Abercromby Square to the Chinese Arch (via Bold Street & Slater Street). The majority of spectators lined the streets patiently waiting for the parade to pass them by, but as I'd done in previous years, I was on the move throughout the night trying to capture some of the acts in different expressions/poses and against differing backgrounds. This meant travelling as light as possible so I decided to leave as much as I could at home & only took my 90mm prime lens (now my "fastest" lens). Being a prime lens it meant I had to zoom with my feet, ie walking closer to or further from my subject, whilst the subject was moving to capture the images I wanted. 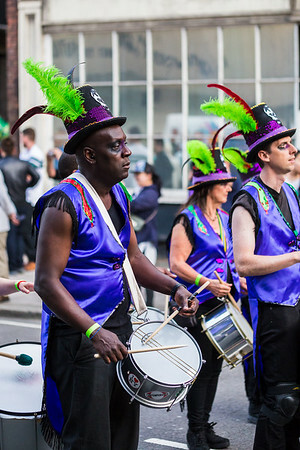 One of my favourite images (below) was taken of the newly formed "Katumba Bloco". 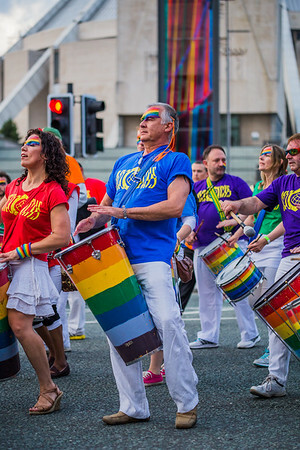 Originally from Batala Liverpool, some of the group have formed their own independent band. Their matching colours & face paint made them easily recognisable & allowed me to capture a frame of positive vibes & uniformed colour. Over the last few years I've learnt to put quality over quantity when it comes to taking images, however it was hard at times to stop myself from shooting things with a little burst on the shutter button, particularly when there's non-stop action all around you just waiting to be captured on camera. 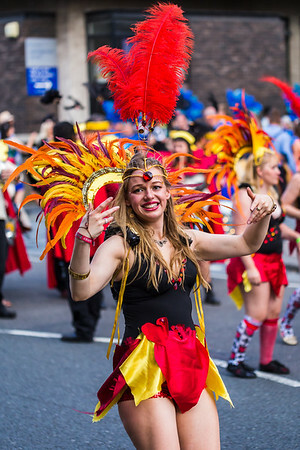 Below is a triptych I created in Lightroom of a couple of dancers from the London School of Samba. This was early on in the parade when energy levels were high. Thanks for taking the time to read my blog & if you'd like to see more from the event, please check out my gallery. Photography is ever changing. Whether it's new gear which we crave, new technology we're using, trying out new techniques or just looking forward to the next shoot - we as photographers always appear to be looking into the future. But it's important to look back & during some quiet time recently, I found myself scrolling through some of my unedited archive of images in Lightroom. 1 - When you've been shooting over a period of time, taking a step back & looking at your older work will highlight improvements you've made in comparison to images you shoot today. This can also be a good confidence booster. 2 - Your post-processing techniques & knowledge of editing hopefully improve over time meaning you'll be able to recover images you previously might not have had the know-how to process & display. 3 - You might find images/projects you captured in the past which you know you can improve on if you were to repeat the project again. 4 - All my images in Lightroom get a rating (in a 5 star rating system) before I even begin to edit anything, so reviewing my ratings keeps them accurate & identifies typing errors. 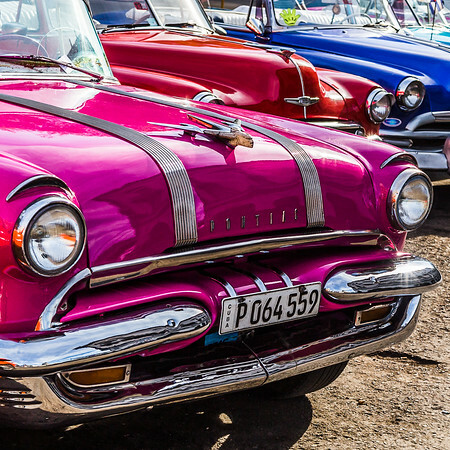 5 - If (like me) you tend to rush a bit to get your work processed & uploaded for everyone to enjoy, you might unearth previously discarded gems (just as I discovered & processed these images last week from my first trip to the Cuban capital, Havana). We can all draw a viewers eye to our subject by using a high aperture (which will allow our foreground and/or background to blur out) but I'm going to look into another technique which is to frame the image. No, not the wooden frames that you put your work up with to show it off, but frames within the image itself. Very often people will use the longer end of their zoom lens to completely fill the frame & very often, this can work well. But sometimes it pays to use a wider/shorter focal length & include a frame in the foreground. So next time you're shooting, consider whether there is anything you can use to shoot through or another point of view you can use to help from your subject pop, before you press the shutter button. Beneath are some examples I've used recently with the ideas behind them. 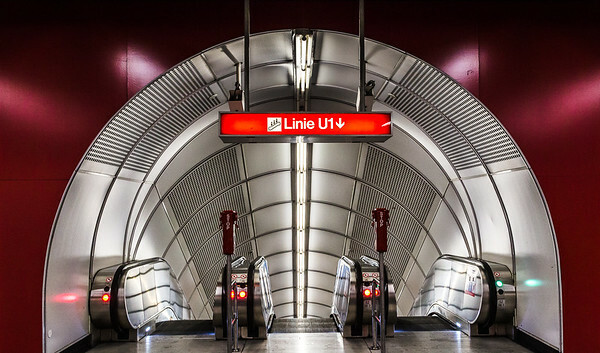 Above left - Stephansplatz underground station in Vienna. Images of escalators are a common sight on the web so rather than following the crowd I decided to stand not at the top of the escalator but further back & included the modern red archway to draw the eyes into the UFO-like tunnel. Above right - Poplar Bridge in London. 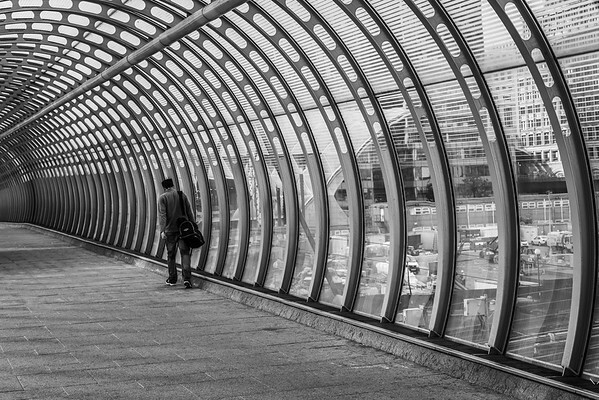 I loved the repetitive curved struts & this image simply involved waiting for a person to walk into my frame. A conversion to monochrome rids the image of distractions which colour can sometimes bring. Right - The London Eye. 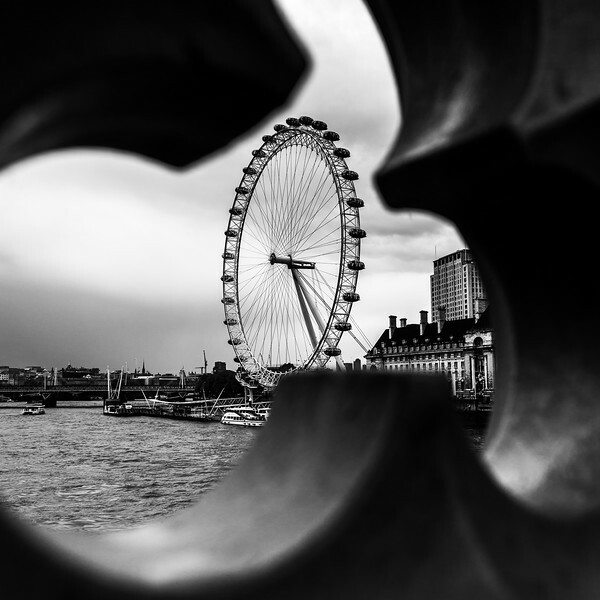 I doubt many tourists visit London without shooting the London Eye & I was no different. The detailed look-out gaps in Westminster Bridge were just high enough for me to crouch down to frame the ferris wheel. 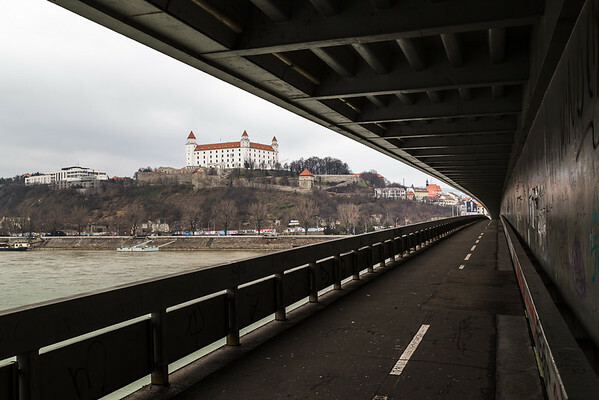 Below left - Bratislava Castle sits proudly on a hill overlooking the beautiful city. I used the gap along the side of the UFO Bridge as a horizontal type frame to draw the eye towards the impressive building. Below right - St Paul's Cathedral in London. 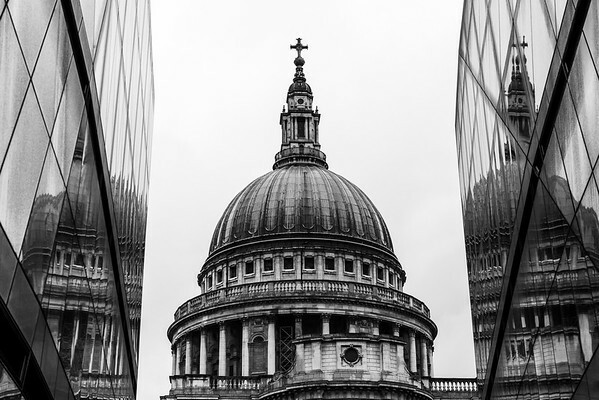 I used a vertical frame of modern & vivid buildings in the foreground on a wet day to lead the viewer towards the dome. 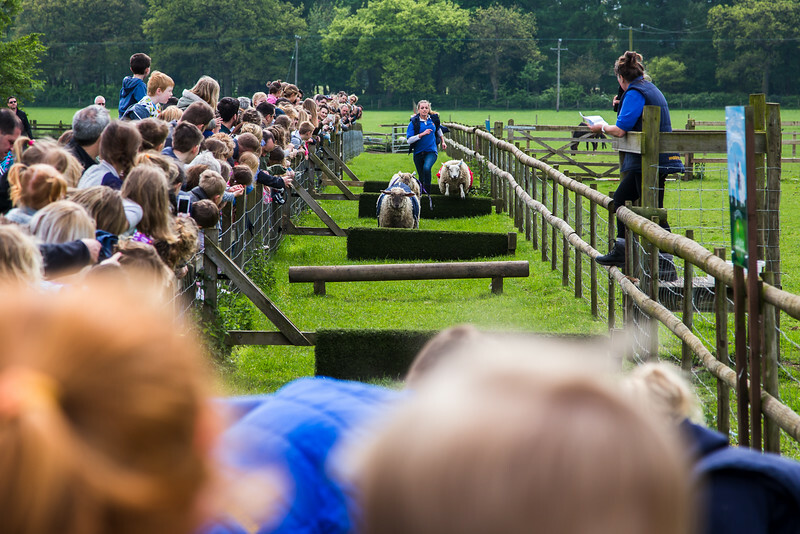 Above - Crowds gathered against a fence to watch a sheep race at a farm. I purposely positioned myself at the finishing line. I was tempted to arrive early & zoom all the way in on some of the sheep jumping but instead decided to arrive just before the start & used a wide angle to include not only the crowds along the side of the fence but also those in the foreground. Right - The giants marionettes from Royal de Luxe returned to Liverpool in the summer of 2014 & I had already captured lots of close-ups so wanted to try another tactic. 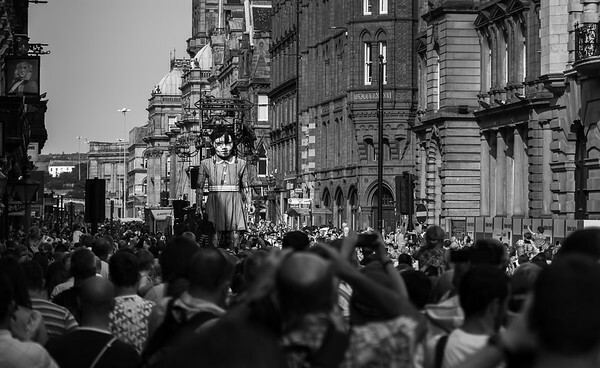 Again, positioning myself at the back of a crowd & zooming out allowed me to capture the giant little girl within a frame of buildings & crowds of people. 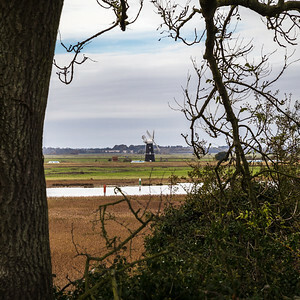 Left - A typical scene on the Norfolk Broads - a windmill, water & flat countryside. I remember trying to compose this shot for a while before I finally found a tree which had an inviting gap in it. It turned an average shot into a keeper. 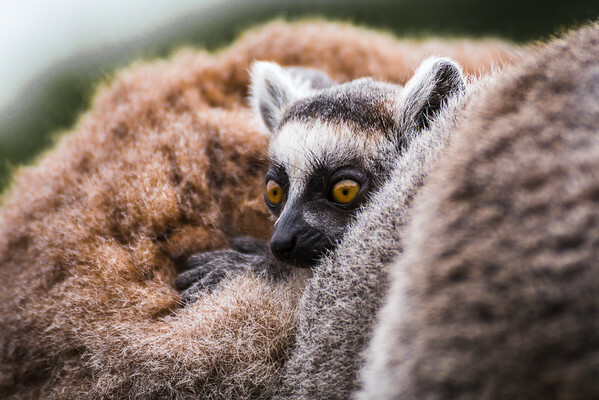 Right - I love animals, but have taken a particular liking to Ring-tailed lemurs of late so was very happy when I found this baby at the South Lakes zoo amongst a large family. It's parents acted as the frame here & helped to enclose the baby's in my image. My top tip - take a moment or two before you compose your image & see whether you can place your subject in some kind of frame. It can add balance & give your subject a good impact. 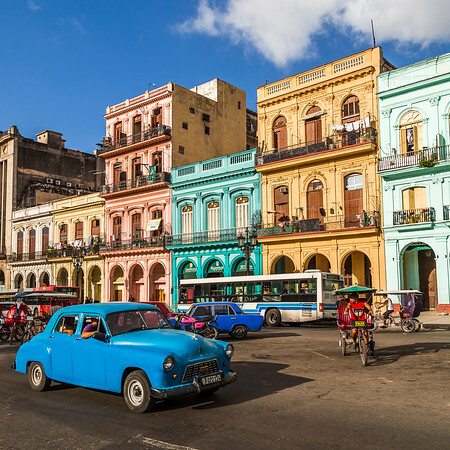 I'm lucky enough to be embarking on a trip to two European cities this week so today's blog will go into my pre-trip thought process. So my research is done, I know where I'm going & I've got a good idea what I want to shoot on my trips. The final part is to pack my gear, but what do I take & what should I leave at home? Some photographers will tell you they wouldn't be without a second camera as a back-up, but I'm going to be on my feet for the best part of four days & this will include shooting into the nights, so for me, although I have a back-up, it remains safely at home. My trusty 24-105mm lens is my workhorse & so rarely leaves the camera. After the body, this is always the first thing on my list. Lenses can be heavy so I never like to take too many with me. The 50mm f1.8 is literally as light as a feather so this is often doubles up as my back-up/fast. I have third party neoprene pouches for each of my lenses & the 50mm is normally clipped to my jeans at my waist. If I know I'll be shooting into the darker hours or want some long exposures during the day, one of my tripods will go come with me. Coupled with this will be a small third party remote shutter release - this invariably stays in my pocket until the tripod is required. Filters will be my next consideration. If I'm going somewhere with lots of water or I'm going in very bright light, then a polariser will go into the bag. My favourite filters at the moment are ND filters to create long exposures during the day so these will be go into the bag if I've identified any shots I might want with them. I'll also grab a spare lens cap at this point so that my lens is protected in the event my original one goes missing. Every memory card is then formatted on the pc so that I know each one that I grab will be ready to use. Those who shoot in jpeg format might be able to get away with a couple of 8gb cards but I shoot 100% in raw format so I never like to be without a good glut of memory cards. I couple of nights before I go, I make sure all my batteries are fully charged & these are then packed with the battery charger. The final items I cram into the case or camera bag are to do with cleaning. A small pocket air blower to rid the lenses from dust & spectacle cleaning wipes. I buy mine from a supermarket in "use once" foil sachets which I rip open to clean my lenses. With the exception of the tripod (which will go in the hold), everything is packed into a Lowepro sling-bag which will never leave my side from the point of boarding the plane to returning home. My top tip - decide what you'll be shooting & only take what you need to execute those shots. Two of my biggest passions in life are travel & photography so when they’re brought together, I’m in my element! There’s nothing I like better than exploring the streets of a new city with the camera slung over my shoulder taking in the sights & where to focus the view finder on next or strolling along a warm beach with the sand between my toes watching the sun rise over the horizon. I also love the variety of shots that I come away with from my travels. Street photography, portraits, night photography, architecture, nature, landscapes & sunsets are nearly always amongst my new collection. In an era where everyone has a camera & most places/subjects have been captured hundreds of times over, I like to think outside the box & capture them in my own way, be it finding different angles, vantage points & different compositions. As with anything, preparation is key, and the internet plays a key role for me when I'm planning a trip. Google Maps – Zoom in over your location & apply the photos banner on the bottom. This not only shows you the area you’ll be in & the subjects, but also it pin-points the location they were taken. The Streetview option can work well in more urban areas to give considerations about vantage points, what might appear in the background etc. Google Maps also gives users the ability to plot locations on a customised map & save it with a unique URL. This can ultimately help towards planning a route & including other places of interest, places to stop off, public transport points, accommodation places to eat etc. Flickr – Flickr has a similar map feature to the Google Maps I’ve just looked at, but you can also filter results on a map search based on date of upload or “interestingness”. This helps to seek out more interesting compositions & to get away from the run of the mill “snaps” which most people might capture. You can also search for images based on keywords. My favourite Flickr research feature though are the groups where people will add their images into groups based on subject or location. 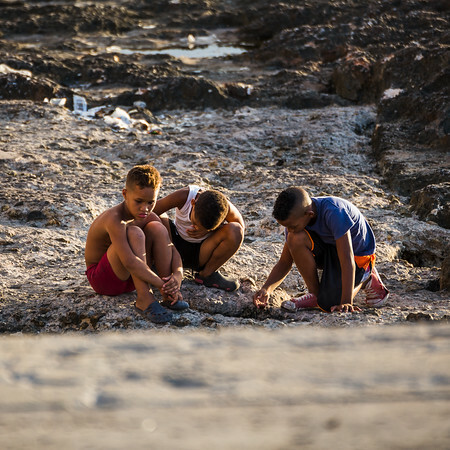 Very often, contributors of these groups are either like-minded photographers who have visited the same location or locals who know the places inside out. The advent of GPS cameras means that many images will be geo-tagged, enabling you to see the photographers location when the shot was captured. Instagram – Although I’ve only been using it for a year, Instagram is perhaps my favourite & most user friendly. I regularly search images using particular hashtags which can then lead me towards users who have galleries or hubs on particular countries or cities. Any images of interest are captured on a screen-shot on my phone & backed up to my Dropbox account for review at a later date on my PC. I don’t do this with the intention of copying other people’s work, but by having dozens & dozens of images, it can give me last minute inspiration & ideas whilst I’m travelling to my destination. Adding these three features together means I never visit a new place in the dark. On the contrary, I often feel familiar with my destination before I’ve even reached it thanks to the internet, proving that research is invaluable. 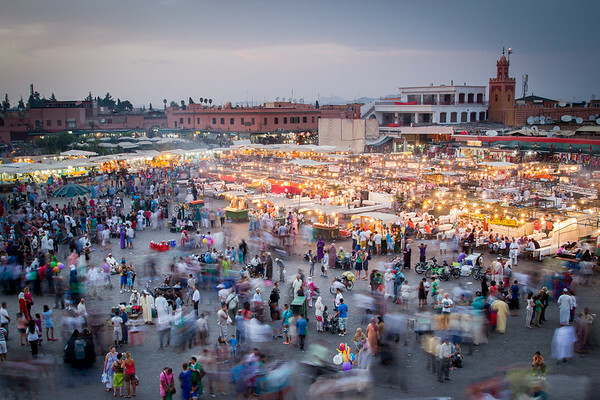 My top tip for travel photography is to use the wealth of information & ideas on the internet before setting off. Ever since I fell in love with photography, I've always taken ideas, tips & inspiration from others around me, whether it's on Flickr, 500px or more recently Instagram. But time & time again, the images that strike me as having the wow factor are those of the macro world. Macro photography is literally like another world. It lets the viewer look at subjects in a completely different way to what they're used to seeing with the naked eye. I've had a dabble in the close-up photography world myself in the past. After all, the prices of extension tubes (tubes which fit between the camera's body & the lens enabling the subject to be magnified on the sensor) are very cheap & the longer end of a 300mm or 400mm lens can also come in handy. Below are a few images which fall into the macro element of my portfolio & they were all captured in completely different ways. 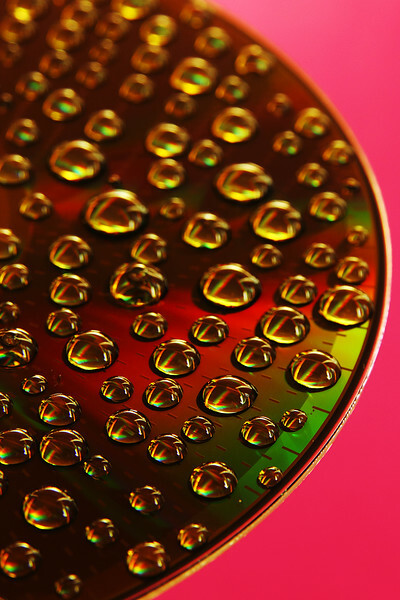 The DVD covered in droplets was captured with a 50mm prime lens whilst the camera was mounted on a tripod to element shake & guarantee a sharp image. 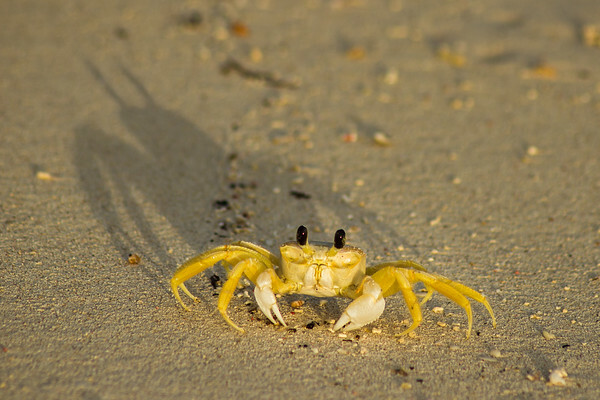 The sand crab was captured early one morning at sunrise on a beach in Cuba. This was shot with the long end of my 70-300mm lens, but I had to put a fair bit of distance between the subject & myself to focus. 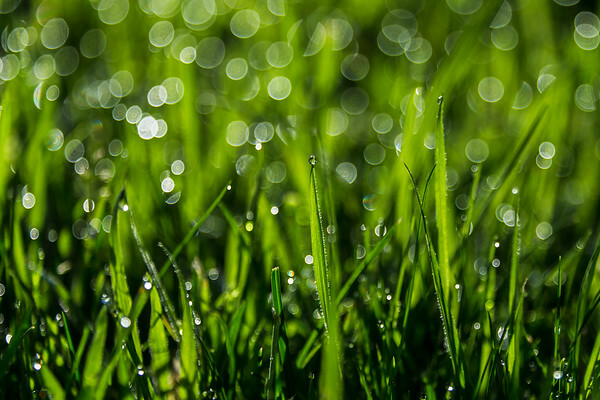 The dew on the blades of grass was my first image using an extension tube between my camera & a 24-105mm lens. The extension tube allowed me to get in very close - in fact, I was just a few inches away from the subject! I'd been toying with the idea of exploring macro photography properly for some months, but last week I bit the bullet I treated myself to a 90mm macro lens. I'm really excited to now own a dedicated macro lens & cannot wait for the weather to warm up & for the spring to arrive so I can shoot some interesting & colourful subjects. Until then, my plan is to get to know the lens indoors as much as I can, perhaps in conjunction with a flash so that I can hit the ground running when nature decides to wake up & share some good results with you. Christmas is always a magical time of the year. Streets, shops & homes are decorated, you’re surrounded by the people you love, the kitchen is stocked up with food & the drink is never too far away either! The weather might be unpredictable (the UK rarely wakes up to a blanket of snow around Christmas) but photographers can still capture shots which are unique to this time of the year. 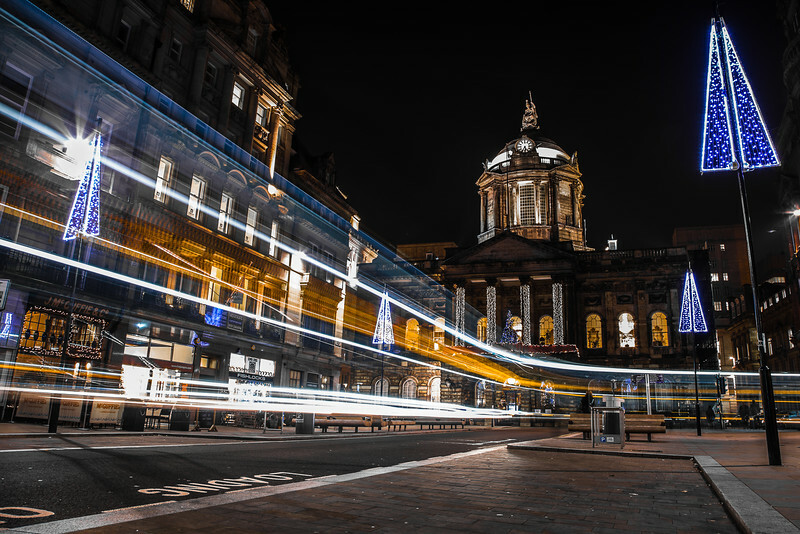 If you’re brave enough to venture outdoors, then the Christmas lights in any high street are worth capturing. If the streets are quiet use a sturdy tripod with the ISO set to 100. Select aperture priority & use an aperture of around f7.1/f8 (the typical sweet spot on a standard zoom lens). 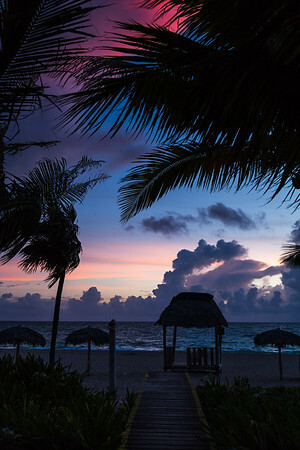 Shooting at dusk, during the blue hour, or even later when the sky turns black can all bring good results. Try to avoid distractions from the frame such as signs, people & other lights. If staying in the warm comforts of your own home is more your thing then look no further than the excitement on children’s faces, close-ups of presents, baubles or fairy lights. 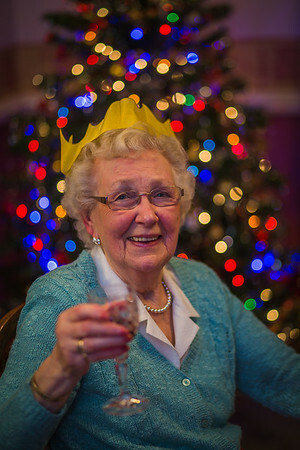 Last year I captured a portrait of my nan (below left) in front of the Christmas tree raising a glass. Using eTTL flash meant the flash emitted only enough power to light her face & ensured the light fell off long before reaching the tree. This meant the tree remained dark in a corner the corner & for the coloured lights to “pop”. 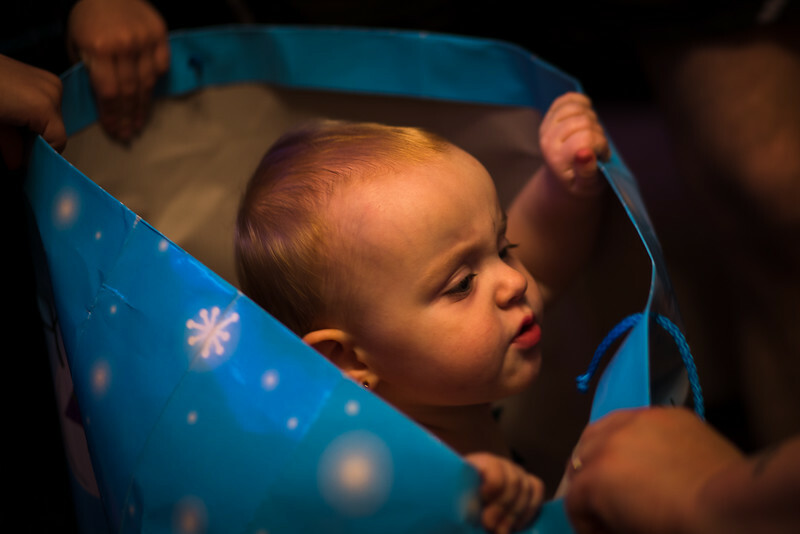 On Christmas morning I saw my niece opening some of her presents before jumping into the big Christmas gift bag & making a game of it. This shot (below right) shows her head bobbing out of the bag with her family’s hands opening the bag up so she could see out. I shot this in manual mode, allowing the surroundings to darken & set the flash to eTTL mode to light just her face. My favourite shot I captured was of these penguins & it came about during a couple of hours shooting close-ups in my house. I tried to find different Christmas objects & placed them a good six feet or so in front of some fairy lights which I had hung from a door frame. 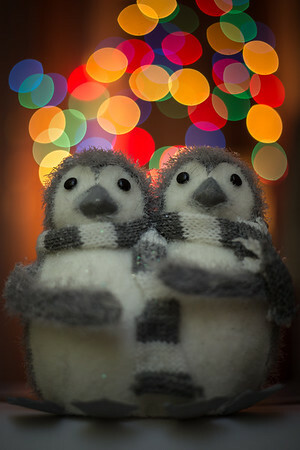 This created large circles of coloured bokeh (pleasing out of focus light) behind the penguins. A flash was used in eTTL mode to light the subject – typically I underexpose the flash by 1/3 or 2/3 of a stop so the lighting isn’t too strong & use cheap accessories to soften the light. My top tip - to use coloured Christmas lights in some of your shots. Thank you for visiting my site during the year & supporting my work. I wish you all a Merry Christmas & a happy new year. 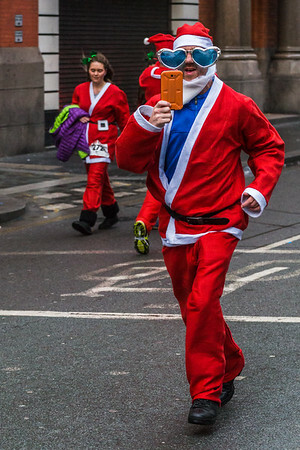 Yesterday saw Liverpool host the largest Santa Dash in the world - a title they've finally taken back from Las Vegas for the first time in four years. 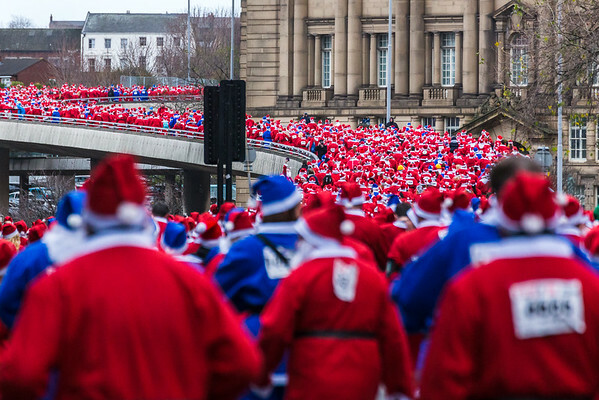 Around 8,500 people of all ages dressed in Santa suits took part in the annual festive fun-run through the streets of Liverpool. 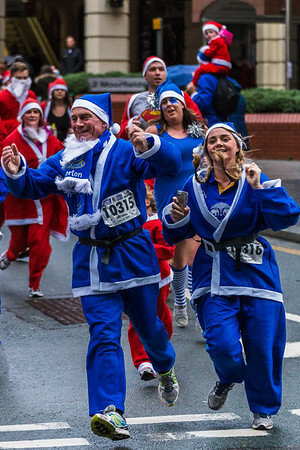 Liverpool is packed full of inclusive events throughout the year but the atmosphere, colour & participation means it's one of my favourite things to shoot - after all, it's not every day you can fill your frame full of Santa's running through a city (particularly when the Everton fans have to do things their way & dress in blue!). The weather didn't treat us quite so well this year as it has done in other years. Strong winds, cloudy skies & the odd heavy shower meant that conditions were quite dark. Controlling the shutter speed of the camera meant I could capture the movement of the different characters sharply, so I shot in shutter priority mode throughout the morning & had to vary this between 1/400 of a second & 1/800 of a second depending on whether people were running fast or walking parts of the course. The darker conditions meant I had to crank up the ISO to 5000 at times. Last year, I remember shooting in ISO 800 - testament to the brighter lighting twelve months ago. Although the run begins on the flat area of Pier Head next to the Mersey, the city isn't flat & the course takes the runners up, round & back down a fly over. This gives photographers different vantage points of capturing the Santa's. The run raises money for local charities but not everyone runs it on two legs. 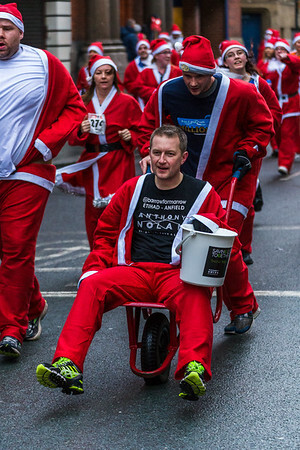 As well as the man in the wheel barrow there were children in prams, unicyclists & dogs dressed up with tinsel & Santa coats for the season. 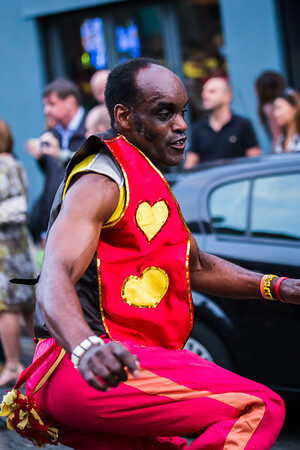 It's a great way to find quirky characters to snap, whether they're candids showing the person in full concentration, people waving to the camera or simply having fun whilst fund raising. My top tip for event photography is to shoot in shutter priority mode (with a fast enough shutter speed to capture clean & sharp images). I'm quite proud that I'm a self-taught photographer. I never studied photography after leaving school, nor have I ever attended any classroom based workshops. Instead, my knowledge has been built up by a combination of first-hand experience coupled with learning aids online. These include magazines, Youtube videos, blogs, books, and my focus for today - podcasts. I spend a fair amount of time either commuting to/from work or working out in the gym, but whereas most people listen to music to pass the time, I enjoy a series of podcasts which I subscribe to. I've tried listening to quite a few since I fell in love with photography three years ago, but these four have stood the test of time & are the ones I've gained most from. I'll hyper link each one with the feed which you'll need to add to your chosen portal in order to subscribe. Podcasts are normally released twice a week & generally come in one of three themes; an interview with a professional photographer to give insight into their job, experiences & advice; listener questions (these include technical questions on settings, gear, post processing etc) & things I've learnt. There's something to take away from every episode but my favourites are the listener questions where amateur & professional photographers ring in & leave questions for the podcast to answer. The "thing I've learnt" podcasts again tend to focus around a theme & they'll cover things to do, things to avoid & advice for photographers. The interviews are a relatively new feature & give valuable insight into the workflows, experiences & tales of professionals who have been there & done it. A professional podcast which people of all experiences will like. Podcasts are released every Monday & the layout is normally of a consistent format with regular sections for news, new gear, listener Q&A's, competitions & all round photography discussions. More recently they've begun including interviews with other photographers. Of all the podcasts I subscribe to, this is always the longest & it's normally quite light hearted. It took me a few months to get used to the banter the guys have but it's grown to become a favourite. The DPE podcast is home of Rick Sammon, a globally renowned photographer who runs workshops & has written all kinds of books. Podcasts are normally thirty plus minutes in length & vary between listener Q&A's and interviews with industry experts. The sound quality is normally very good & the length is normally around the hour mark. I've always enjoyed this podcast but the reliability on its delivery has been suspect at times as they often don't record for months on end & then quickly pick up where they left off with new episodes every month. Regular features in their round-table style discussion involve news, questions & answers and good all round photography chats. My top tip - use free podcasts to supplement your photography education. The blue hour offers a unique type of lighting (known by some as "sweet light"), which I've learnt to cherish. In fact, some of my favourite images have been captured in this light which is seen mornings & evenings when the indirect light shows as a blue hue. It's that part of the morning when night begins to change to day, before the sun emerges over the horizon. At night, it's that period between the golden light ending & the sky turning black. The human eye doesn't see the blues like a camera does, so sometimes I've been pleasantly surprised by the results in my shots when I've reviewed them on the back of the camera. My favourite locations to shoot in this bluey light are cities & urban areas as the fading ambient light is balanced by the warmer artificial street lights. The shorter days of the British winter offer great opportunities to shoot in this light & I'll be hoping to add some more images to my portfolio over the coming months. 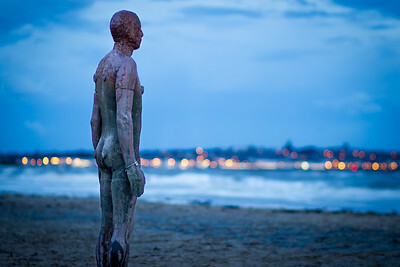 I've taken a number of images near to home in the blue hour which you can see in my Liverpool gallery, such as this Iron Man on the beach at Crosby. The sun had already set on my shooting session & I was wondering along the beach towards home when I saw the artificial lights in the distance from the Wirral. I set the camera on a tripod & shot wide open to render the subject in perfect focus whilst purposefully allowing the lights in the background to show as colourful bokeh. The lighting really makes this shot stand out for me. 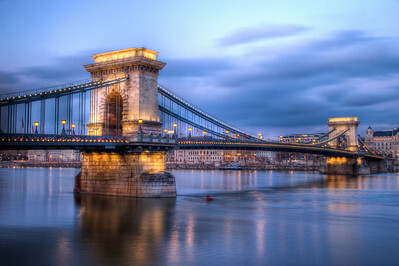 My second shot was taken by Chain Bridge in Budapest. A magnificent landmark which has been captured in hundreds of different ways in all types of lighting. The warm artificial lights on the bridge really compliment the cool blue winters sky above the bridge. I also included some of the fluffy clouds in the sky & some of the reflections from the Danube River beneath. My intention on this final image was to capture some of the beach in Cuba during the golden light of sunrise, fortunately (or unfortunately for my beauty sleep) I woke too early, but rather than turning over, I got up & managed to wipe the condensation from my lens quickly enough to capture the gorgeous moment where the pinks & blues took over from the fading nights sky. I spot metered on the sky to allow the distinctive trees & beach parasols to show as silhouettes. My top tip - continue shooting into the dark, your camera may continue seeing those blue hues long after our eyes can. This week has seen the annual Guy Fawkes night with numerous shows up and down the country. I attended a display yesterday evening, but before I set off, I managed to capture my nieces enjoying their sparklers in the garden. 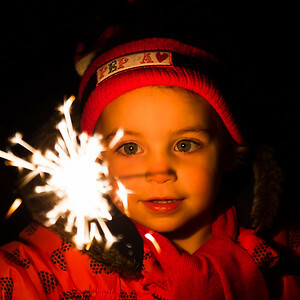 The good noise performance of dSLR's today meant I was able to come away with a number of shots, just by combining a high ISO & a small sparkler lighting my nieces face. Thankfully, the rain continued to stay away so onto the fireworks we went. The general consensus is to use a tripod when capturing fireworks (to blur the movement of the explosions) but as I was with family, I decided to leave the tripod at home this year & set about capturing some shots handheld. I used my 24-105mm "walk-around" lens & shot wide open at F4 to let as much light into the camera as possible. I also cranked up the ISO beyond ISO2000 to achieve a fast enough shutter speed to handhold the camera in aperture priority mode. 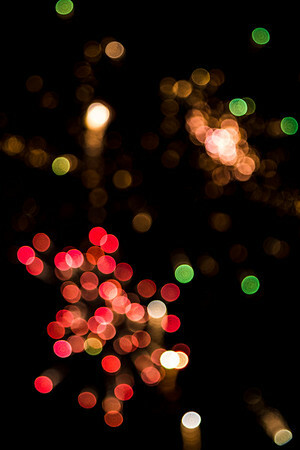 I wanted to create some dreamy "bokeh" images so purposely took some shots out of focus. This resulted in a series of images with coloured, circular highlights against a dark sky. This example shows red & green explosions in the same frame & was one of my favourites from the twenty minute show. My top tip - don't be afraid to crank the ISO up for sparklers. Welcome to my new blog. For those who are new to my site, welcome & thank you for visiting. 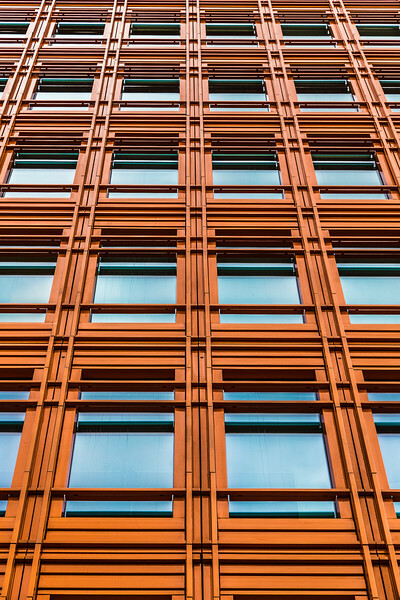 This is the home of Jason Wells Photography, an aspiring photographer from Liverpool. I intend to use this blog to talk about some of my images, workflow, processing, gear & social media.